Joomla is an excellent platform to design a creative business website. As you know, there are literally numerous Joomla themes made for give. Unfortunately, only a few of them will actually meet your expectations. Although, The internet filled with the immensely stunning Joomla templates, so sometimes it becomes hectic to choose one. when you have multiple options. Here, I’m going to list some top leading business Joomla templates developed by one of the trusted source. You’ll get almost all the niche-based template here, that take your site to the next level. 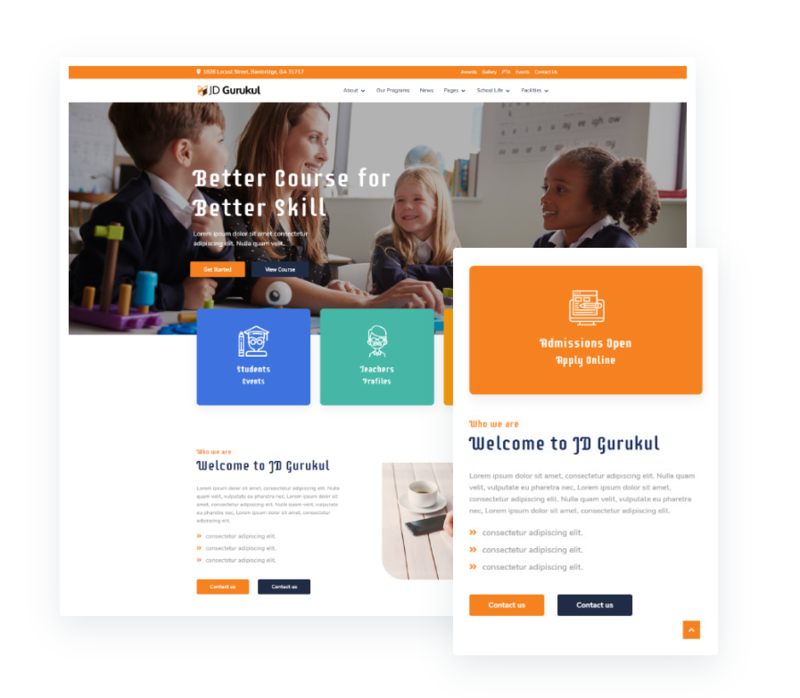 JD Gurukul is a carefully crafted Joomla theme by Joomdev team, specifically designed for school and education based website. It equipped with enormous features to make your website look unique and stylish. It makes it possible to craft everything from header to section area to a footer. Everything is fully customizable with the robust admin panel. JD Gurukul built with the open source framework Astroid, which itself made with the premium technology. It makes it possible to customize each and everything without any trouble. With this Joomla theme, you also have well-customized blog layout, pre-designed pages that will give a stunning look to your website. JD Berlin is designed for tour and travel companies. This premium Joomla template based on best Joomla framework, so it’s more fun to work with menus and typography. The pre-built custom pages come with this Joomla theme like hotel booking, 404, coming soon etc. JD Berlin is one of the Joomla templates that offers almost unlimited customization with the solid user experience. You can edit and personalize every aspect of every element using the powerful admin panel. 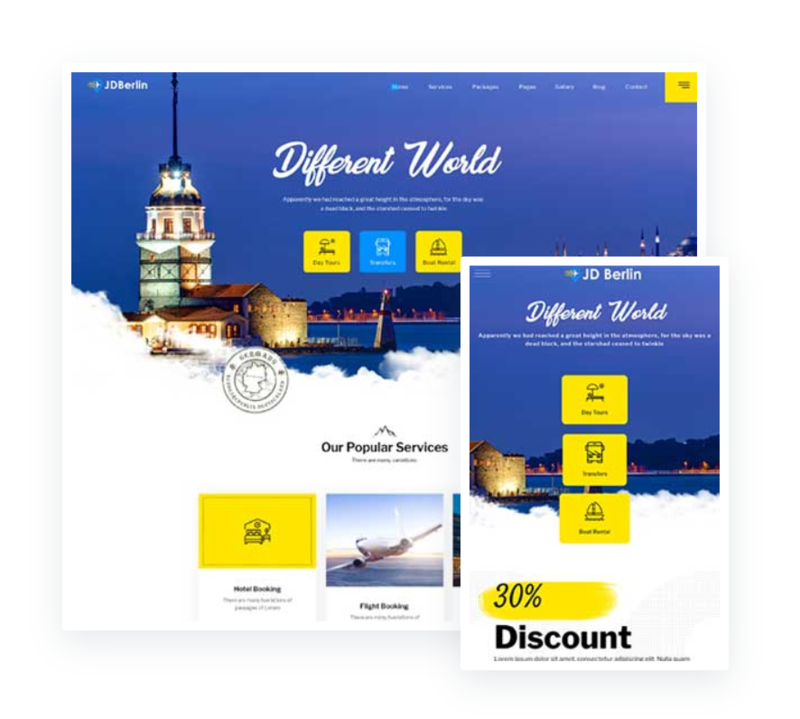 If you want your travel website to be more happening ever, then I would suggest to start with the JD Berlin and take advantage of limitless features. 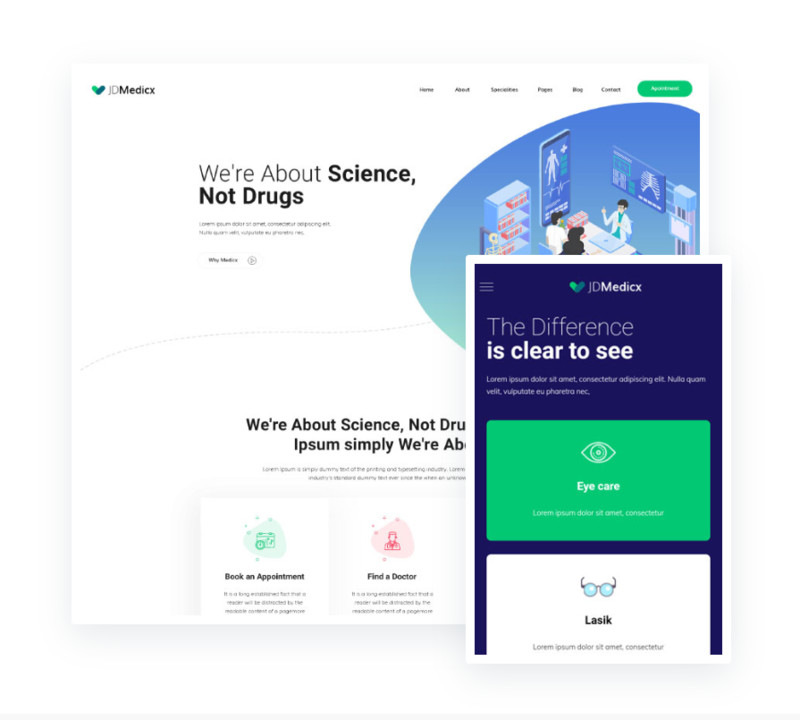 JD MedicX another multipurpose Joomla 3.9 template, perfectly go with any type of hospital, opticians, dental clinics websites. This developer-friendly Joomla template specially designed for the user convenience, so that you do not face any issue in the technical part. The numerous features enable you to create a professional website with such intensity. With the JD MedicX, you have multiple multiple homepage layouts to choose from. Now, you can pick any which suits you best. This template is designed to keep the hospital’s needs in mind. It enable you to show time table, appointment booking, before and after effect etc. This Astroid based Joomla templates have everything that needs to build a professional website, so, check it out now. JD Stylo is one of the sophisticated Joomla templates in this list specially designed for magazine, news and blog website. This responsive Joomla template based on a front-end Joomla website builder Astroid. With the JD Stylo, you have the potentiality to customize literally every inch of your magazine website. 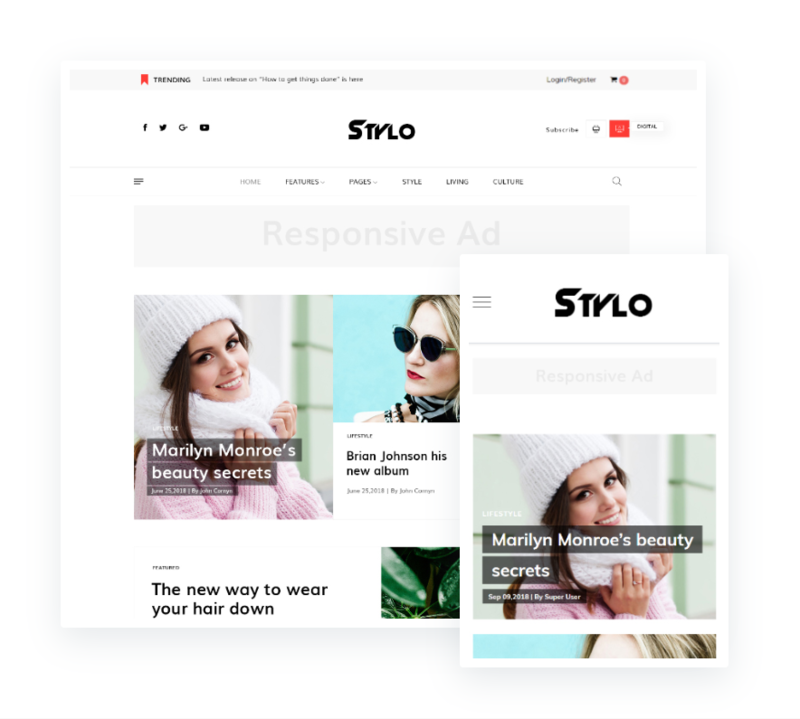 JD Stylo comes with the multiple sections to choose from in terms of showing the latest post, various article types/post format, news ticker, multiple header variations, RTL support, and much more. This isn’t enough, It also allows you to set up a full-fledged e-commerce shop in a few minutes. So, what you have to do is, just give it a try and get ready for the greatest experience. 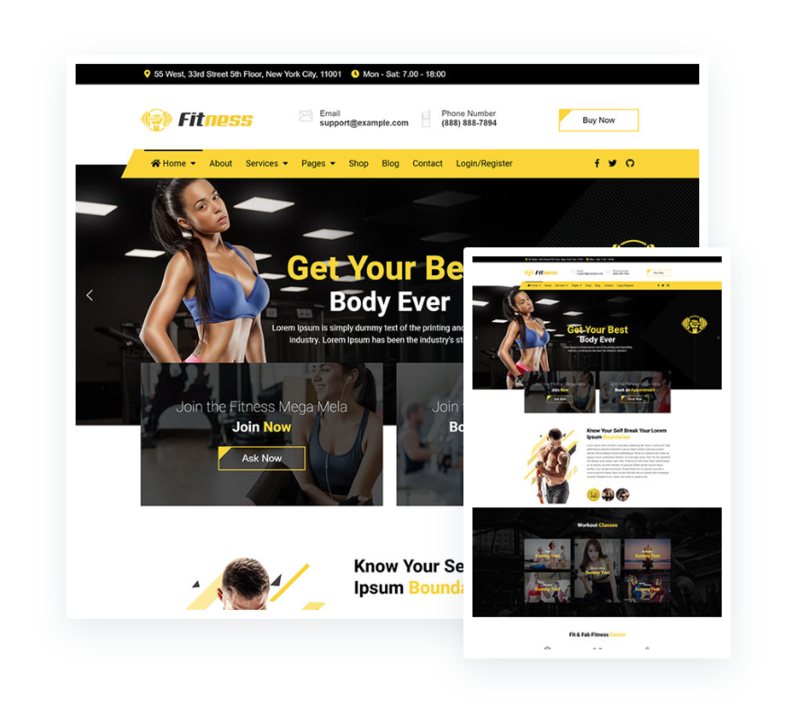 First, let’s talk about Fitness Gym based website, What you expect from any fitness theme, It should base on latest technology, must be responsive, support powerful framework and easy to set up and use. JD Fitness, best gym fitness Joomla template is here to fulfill all your desire. This creative Joomla template is based on the cutting-edge technology such as Bootstrap 4, HTML5, advanced smart slider and powered by the best Joomla template framework. The responsive Joomla template comes with HikaShop integration with the help of, you can make an online store to sell your products and services. Besides that, JD Fitness comes with some supreme modules that let you showcase your pricing plans, team showcase, services showcase, testimonials and many more other features. One page websites go perfectly with blogs, portfolios or small business sites which focuses on one specific thing. 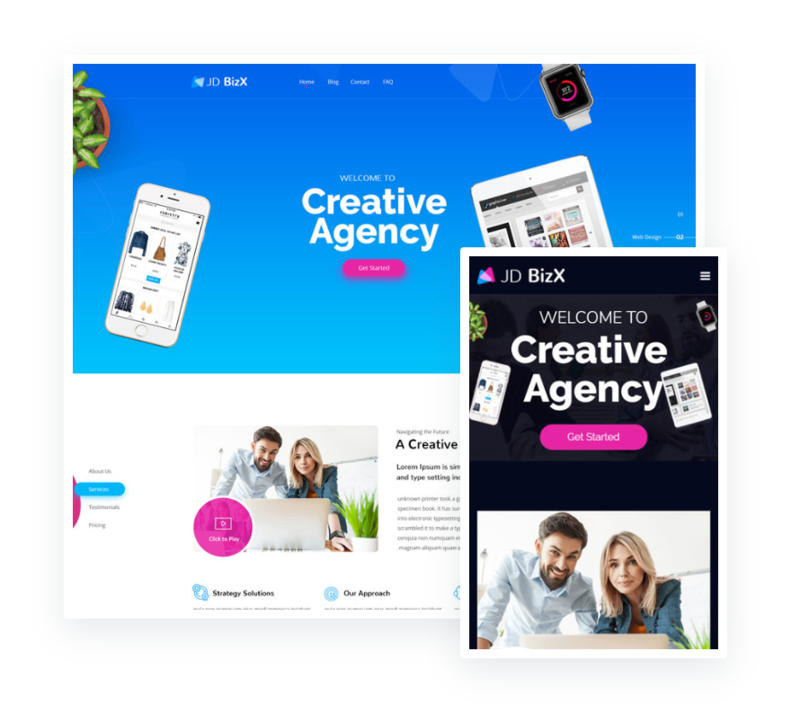 So, if you are willing to create a one page website then JD BizX would be a good choice. JD BizX is one of the best single-page business Joomla templates specially designed for multi-business website. As it is not particular niche based, you can use it for any business type. JD BizX is available in different layouts such as dark, light, particles, slider, etc. JD BizX, one page Joomla template comes with the most advanced admin panel which makes it easy for you to customize each and everything with such ease. Though it is developed with a clean and lightweight code so that it’ll give all the possible features and functionality but with the simple design and layout and this is what you want. When it comes to Lawyer, Attorney, and law business websites, The must have thing is your website. Your site should look appealing and professional So that you can showcase your services, your practice area, your last winning experience, etc. It becomes essential to pick a sophisticated and cultivate Joomla template. 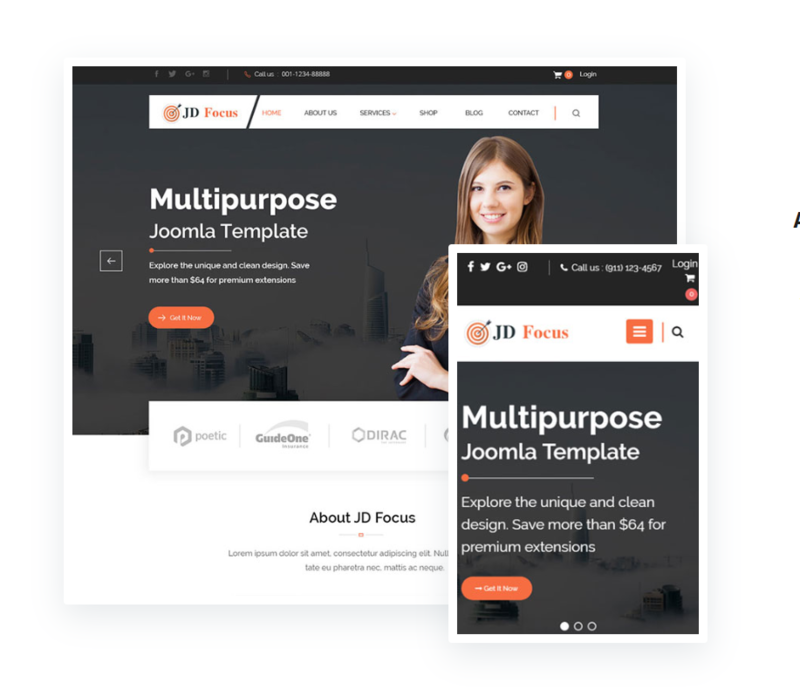 JD LawX is premium Joomla template, based on Bootstrap 4, Helix ultimate framework, smart slider pro and Quix page builder pro, So it will be easy to customize everything without any technical knowledge or any coding. With the JD LawX, you can set up a fully responsive website, you can need to focus on your work, the rest of the work will do JD LawX. 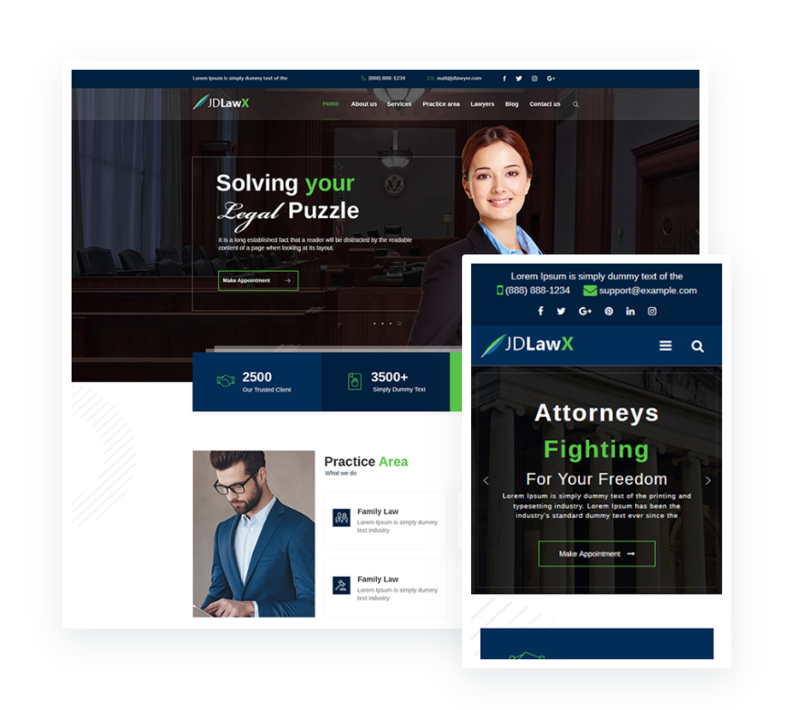 If I talk about its standout features, the lawyer Joomla template comes with multiple headers, footer and, colour variations, offers two homepage layouts with video section, creative blog layouts and much more. In this world where people love to spent time on the web to get news and updates instead of reading papers and magazine. So this is an advantage for you to create your magazine and news portal. If you are looking for the magazine Joomla template, then I would say JD Magazine is utterly an excellent choice. JD Magazine is a responsive Joomla template specially designed for Magazine, blog, News business Joomla sites. This most stunning Joomla template was compatible with the EasyBlog or Joomla Article. JD Magazine comes with the different powerful content section add-ons that offer different styles for showcasing the content for such an attractive way; It includes the news ticker, classic grid, post slider to showcase the content in different styles. Apart from that, It offers features like responsive layout, news presentation ticker, mega menus, off-canvas menus, cross-browser compatibility and many more other features. 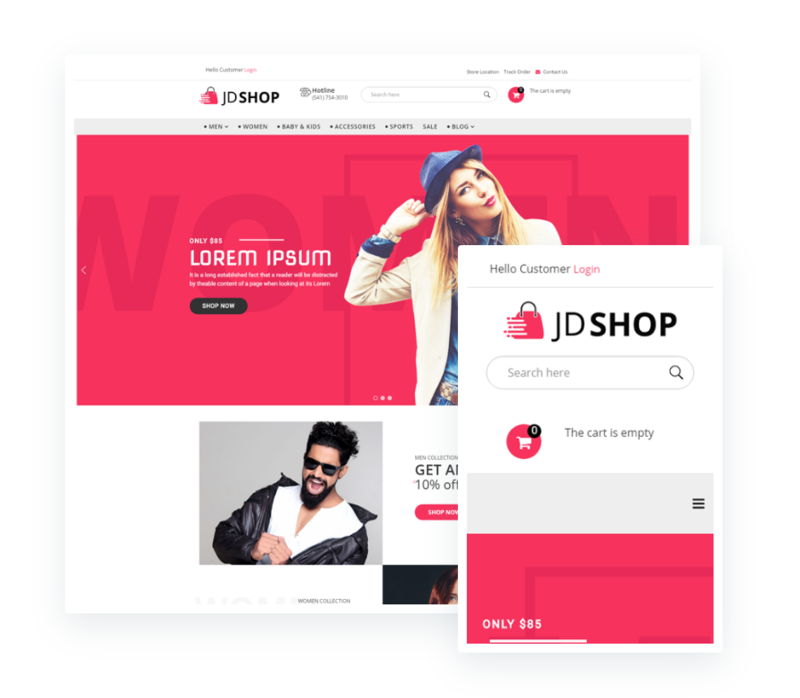 If you are planning to design an e-commerce website and looking for the perfect template, then I must say You have to check JD Shop. JD Shop is an e-commerce business Joomla template offers an extensive number of a feature list. This beautiful responsive Joomla premium template based on Helix 3 framework with the drag and drop page builder which enable you to customize the look and feel of your site. JD Shop comes with the advanced search feature, attractive slider, categories specific product slider, creative blog layout and many more. Also, JD shop supports all the pages that important for any e-commerce websites, such as product listing, products details, categories, cart, checkout pages, etc. where user spent most of the time when they come to any product. So, It’s good to with JD Shop. 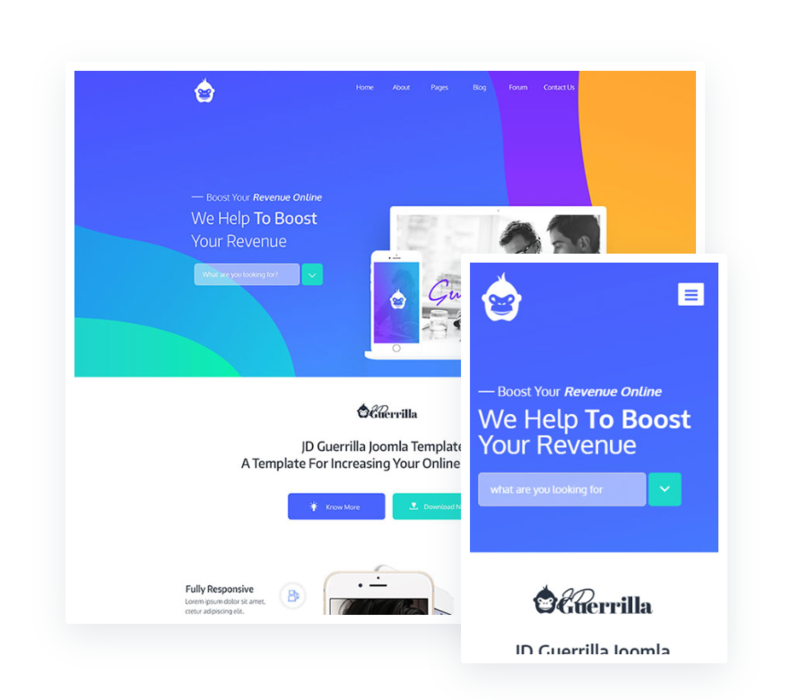 JD Guerrilla is a digital marketing agency Joomla template comes with powerful admin panel and drag and drop integration. If you want to create a startup, corporate, agency even a simple site for blogging purpose then this Joomla premium theme is quite a good option. JD Guerrilla is the cleanest and simple Joomla template in this collection, comes with such attractive layout designs. Besides that, It supports some powerful extensions such as EasyBlog, K2, Kunena Forum, Easy Discuss and custom designed pages. If you want a Joomla professional template for consultancy purpose, then this high rated template is for you. This cleanest yet lightweight multipurpose business Joomla template is perfectly fit ecommerce or any niche based Joomla site as JD Consult is multipurpose. 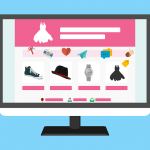 It integrated with HikaShop extension which allows you to set up an attractive, simple online store. Like JD Shop, JD Consult also supports pages such as shopping cart, checkouts, etc.. Also the EasyBlog and K2 components are inbuilt with this professional Joomla template. 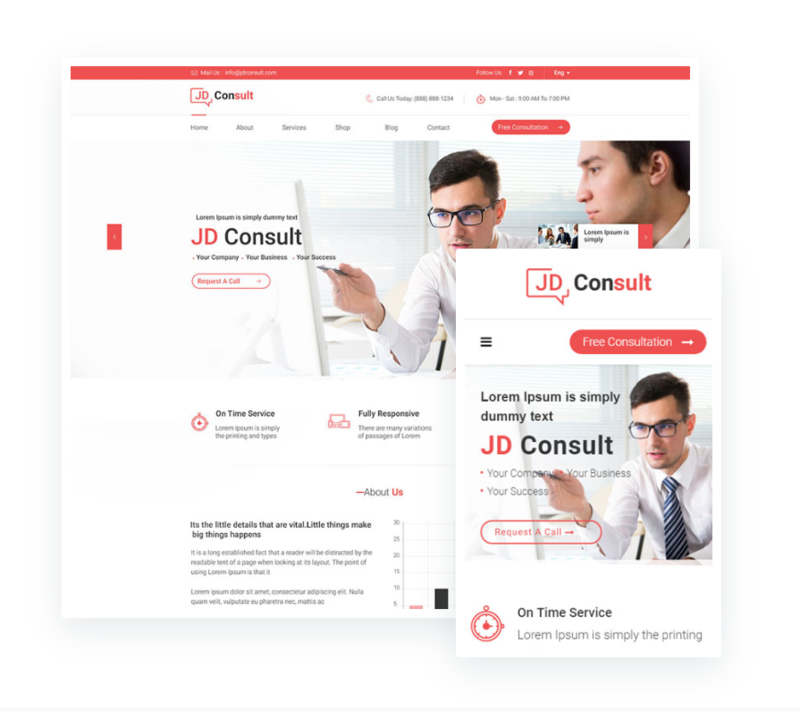 JD Consult is offering boxed and wide layout option, rich typography, fully responsive layout, easy customization, Ecommerce integration, cross compatibilities with all the major browsers. Like other business websites, Construction business is also an important one and need a robust business website; If you want a good web presence for your business, then you must need a feature-rich Joomla template. 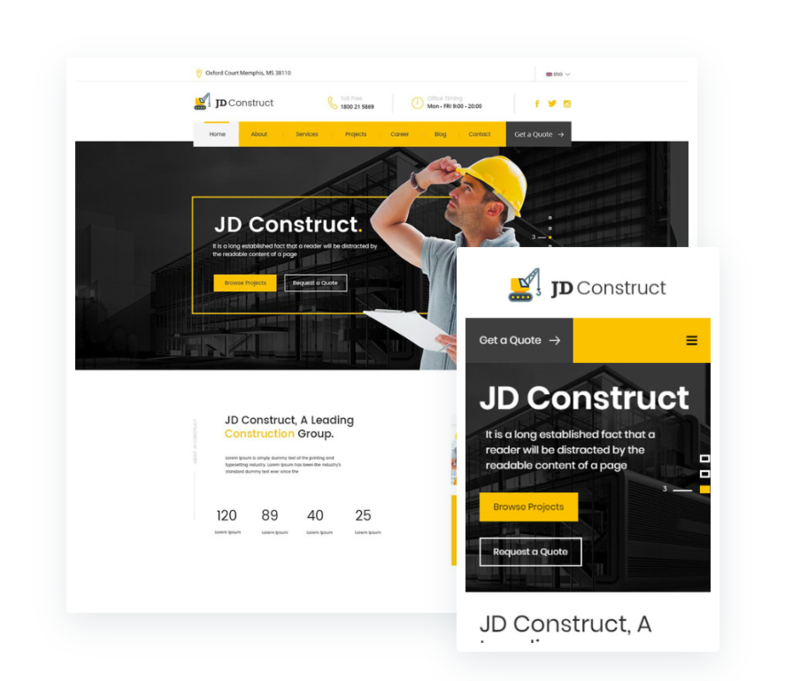 JD Construct is one of the best Joomla template specially designed for construction, architecture, or any other related websites. This responsive Joomla template powered by Helix framework, smart slider pro, and Quix page builder which allow you to create and customize everything to your site without writing a single line of code. JD Construct is utterly reconcilable with all the major browsers and devices, also, offers creative design, advanced typography, four color presets, etc. For more free and premium Joomla templates visit joomdev.